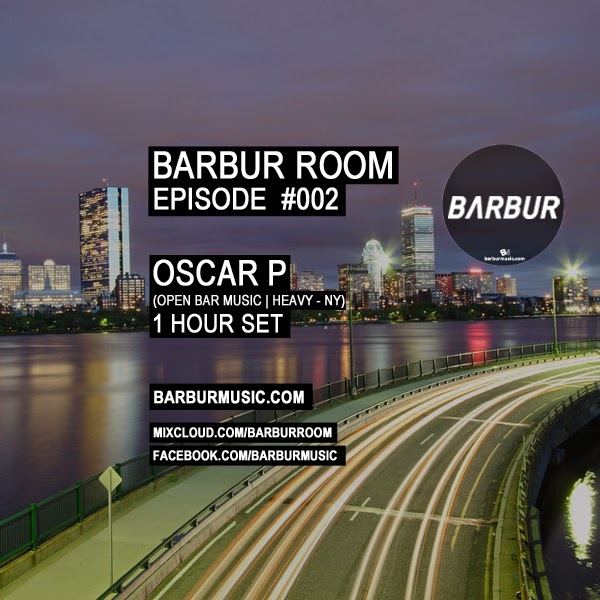 Oscar P is recognized as an innovator and force in New York City's music scene. His musical style fuses his influences not only from NYC, but also Chicago and Detroit. Creating a unique sound that can be heard on remixes for artists like Foremost Poets, Gypsymen, Todd Terry, Physics, Marvin Gaye, Peech Boys, and The Beloved. Infamous for his aggressive music release schedule, Oscar's projects are constantly popping up on Top 10 / Top 20 Traxsource sales charts. Mesmerized by electronic music since the mid 80's Oscar P's influences are rooted in the early days of the Paradise Garage, growing up in Williamsburg Brooklyn. “Brooklyn was where I discovered myself through music. Thankfully I had older cats who took me under their wing and schooled me on what good music was. I didn't try Djing or producing right away. I was a record collector first, and a dancer making my way trying to fit in. In a city rich with musical styles and sounds Oscar was wired in. At the age of 21 landed a job with famed manager, and club promoter impresario Vito Bruno's AM:PM. Bruno ran promotional operations for clubs like The Palladium, The Tunnel, Limelight, Studio 54, Red Zone, and almost every important New York venue in dance music history. AM:PM also managed dance acts like Crystal Waters, 2 In A Room, and Lidell Townsell among others. Oscar soon found himself traveling across the globe as acting road manager. "It was a great place to learn the ropes and really learn the music business behind the scenes. Definitely my time there was key to my development, not only as a businessman, but as a songwriter/producer/promoter." Another key turning point was a trip to Chicago In 1985, where he was introduced to house music for the first time. "I'd turn the radio on to check out the Hot Mix 5 and was amazed. I thought the garage era was it, and it was, but this was different, and it changed me in some way. I'd never heard music like that before. I came back with a box full of cassette tapes, and ran down to Vinylmania with my Sony Walkman and headphones, so I can track down every single track I heard on vinyl. I got all of them. Then came the dominant 90's with Todd Terry, Masters At Work, Timmy Regisford, and Tony Humphries. "Those are the people I went to see and grew up on. Between this and hearing The Hot Mix 5, Marshall Jefferson, Steve Silk Hurley, Farley Jackmaster Funk, and guys like Kevin Saunderson, I knew I didn’t want to do anything else with my life except music. I grew up with the best of both worlds. It was a huge impact on me. It was my college education." Years later, and fully loaded producing music has allowed him to continue to travel the world and play the club circuit rocking at the best venues and events. "I'm truly blessed, and sometimes we forget the beginning of the journey. I've been to 50 plus countries in the last 10 years. I don’t even have room in my passport for stamps. Its amazing." The touring never stopped as the Dominican New Yorker visited Singapore, The Bahamas, Sweden, London, Italy, Poland, Luxembourg, Amsterdam, and Montreal and eventually established his own New York branded parties I'LL HOUSE YOU, and HEAVY. In 2010 Oscar P's "Remixed & Reconstructed", hit #1 on Traxsource's Top 50 Albums. He then scored 2 more top 10 hits on the site with music partner Davidson Ospina on remixes for Maurice Joshua, and Mustafa. Mid-summer came the global smash remix for Sexual Healing by Marvin Gaye. Supported by the likes of Tiesto, Tom Novy, Inland Knights, Robert Owens, Milk & Sugar, DJ Sneak, Kaskade, Carl Kennedy, Eddie Amador, DJ Hell, Miguel Migs, Michael Gray, Black Coffee, Quentin Harris, Mark Knight, Grant Nelson and many more. 2011 saw more of the same, as he released the 25/8 album to great reviews, which garnered strong support from the likes of D.O.N.S., Sonny Fodera, Stacey Pullen, DJ Sneak, Hector Romero and many of his peers. "Its always special when people you look up to, tell you that you've done a great job. It means the world." Open Bar Music, his indie label who he runs with Jessica Bendig, is one of the most respected music labels around the world. Some of the Artists and Producers who have appeared on, recorded or remixed for the label include Justin Martin, Shur-I-Kan, Chuck Love, Mr. V, Soul Minority, Tom Novy, MTV & Mark Knight, Davidson Ospina, Scope, Atnarko, Karol XVII & MB Valence, Greg Stainer, and each year they are still growing. In 2012 Oscar P drops his latest album project BK 2 MY ROOTS. I've been slowly working on new tracks, remixing old ones to bring em back with a different flavor. Basically I’m going to dissect and strip everything down and go back to the beginning of what started this for me. "We don’t sleep. We've been on a wild and crazy ride, and at the end of the day TALENT, and CREATIVY will always win". Shhhhhh, we are only just getting started.